In April 2018, BCA Partners Stickman Technology and ip-Xchange – two technology providers for the flexible workspace sector – merged to become a new technology ‘group’. Just as owners and operators of flexible workspace are merging and consolidating in line with increased market growth and competition, so too are its suppliers. 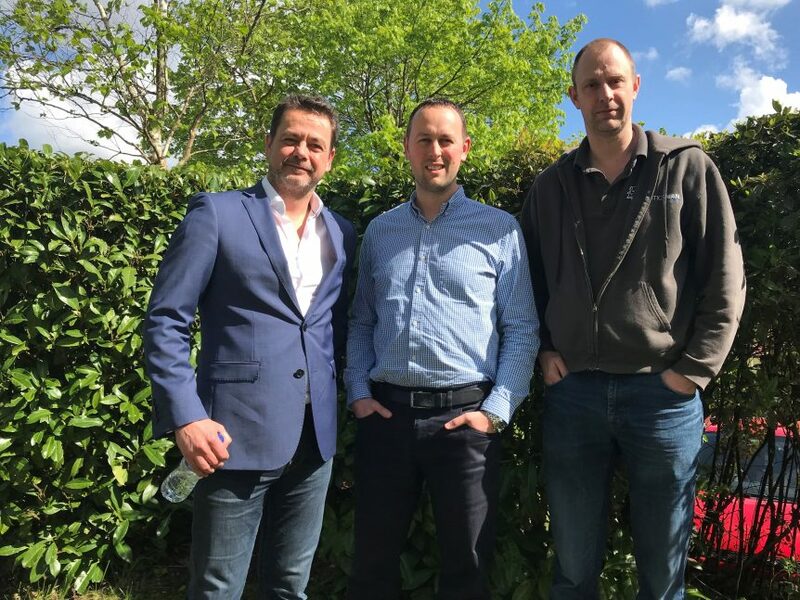 In this case, both ip-Xchange and Stickman Technology are coming together to form one organisation, with the benefit of expanded support teams, sales presence and continued development of innovative technologies. How did the alliance come about? How will it impact the end users of their product? And what can we expect in the coming months? To find out, the BCA spoke with Kevin Winstanley, Managing Director of ip-Xchange, and Jon Seal, General Manager at Stickman Technology. Before we discuss the new technology group, can you tell us a little about each company and at what point you entered the flexible workspace industry? Kevin Winstanley, ip-Xchange: We entered this market in 1999, prior to that we were installing and supporting a wide range of systems but nothing was bespoke or flexible enough for the growing needs of the flexible workspace sector, so we began to centralise our operations to develop our cloud platform, now called ip-Xchange. Jon Seal, Stickman Technology: Stickman was founded in 2002 by Dr. Adam Case initially as an IT support company. He started in a business centre in Southampton, and Adam soon realised that the provision of IT support to business centres could be much better. This saw the first iteration of MESH created – what is now our cloud-based communications management platform. What was the serviced office industry like at the time? Kevin: the industry was coming together quickly, largely due to the ‘Regus effect’ – a number of companies began following Mark Dixon’s lead and felt that if he could do it, so could they, so we began working with a number of serviced office companies and expanded from there. Kevin, you have been the driving force of ip-Xchange for almost 20 years. How did you come to the decision to join forces with Stickman, and what brought you to them specifically? Kevin: I’d had a conversation with [Stickman founder] Dr. Adam Case a few years ago and aside from the fact that we were both technology companies based in the South East, I saw a great strategic synergy between our two companies. I’ve always had a huge amount of respect for Stickman’s MESH platform and I also recognised that it was stronger in terms of management and reporting for bandwidth, whilst we had a very strong voice offering. In your press statement, you recognise that the market is getting bigger and “consolidation is the logical next step”. From your own experiences, can you explain how these larger entities – or technology ‘groups’ – can better serve clients and the industry at large? Kevin: Back when we started, the big company was Regus. Today there are more large companies with global aspirations taking up the challenge – just look at WeWork. The only thing that remains consistent about technology is change, and with the merger and financial backing we have, it puts us on a completely new level to be able to innovate and address the things we know our customers really want to see to give them the edge. Practically speaking, our scale allows us to invest in our service further and develop even stronger partnerships with our customers. Being part of the serviced office industry, we’re completely focused on customer service. It’s our number one priority. Ultimately, our focus is leading the market and delivering impeccable service. Do you plan to branch out into other sectors or will flexible workspace remain your core market? Jon: Hospitality is a natural step for us. My background is in hospitality technology; prior to joining Stickman in 2017 I spent 10 years working with most of the major hotel groups and some iconic independents. There are lots of similarities between hospitality and flexible workspace – the most underlying is landlords looking for yield on their space. We see huge technology synergies between the serviced office and hospitality sector. Converging the way these industries use internet and Wi-Fi would add a multitude of benefits to both sectors. We’re seeing it already. Lots of serviced office companies are breaking into hospitality – for instance, Office Space In Town’s founders, Giles and Niki Fuchs, just bought a hotel in Devon. Then there’s WeWork and WeLive. Between flexible workspace and hospitality, there’s a real opportunity for cross-pollination. Taking that further, what are workspace operators missing in terms of technology, and what can the industry learn from hospitality? Jon: The key thing is knowing who is in your space. Hotels previously struggled with that. For example, you have a conference with 200 people who all log-on to your Internet connection and hammer the bandwidth. Then they leave, and the hotel has no idea who has been in their property! The revolution came around 2010. A culture of free internet access prevailed in hospitality, the launch of the iPad and a prevalence of new smart mobile devices left many hotels with a substandard network infrastructure. Suddenly, hotels were being asked to invest heavily in technology infrastructure and to improve their bandwidth, but people weren’t paying for it. They had to find a way to capitalise on this and ultimately it came through marketing – using the technology to understand who’s in the building, what they’re doing, their interests, and so on. They can now use this data to better serve their client base. We can certainly bring these learnings into flexible space, especially coworking. Finally, what can we look forward to in 2018 from the newly combined forces of ip-Xchange and Stickman Technology? Kevin: The first thing on our agenda is the integration of our teams. We have a very customer focused ethos and we’re looking forward to spending more time together and introducing our teams to new technologies. Jon: We’ve done the ‘boring’ part, bringing the two companies together on a legal and commercial basis. Now we’re getting into the fun stuff, learning about great tools and platforms. There’s a real energy and we’re looking forward to showing the market how it can be done. Kevin: For us to be growing, we feel it gives our clients a sense of security in terms of where our industry stands, particularly as we edge closer to Brexit. Now that we’ve made our partnership official, we’re bubbling over and there’s a palpable sense of excitement in the office. We just want to get stuck in!